Built on an extensive history, rich with diversity, and one of the friendliest places in the country, Austin, Texas is one of the best places to live, visit, and explore. With so many great areas that keep you close to the lively scene, it’s no wonder more and more people are moving to the Austin area. But, even those that are just visiting can take part in the wonderful activities, both indoor and outdoor, that will keep everyone occupied and happy! 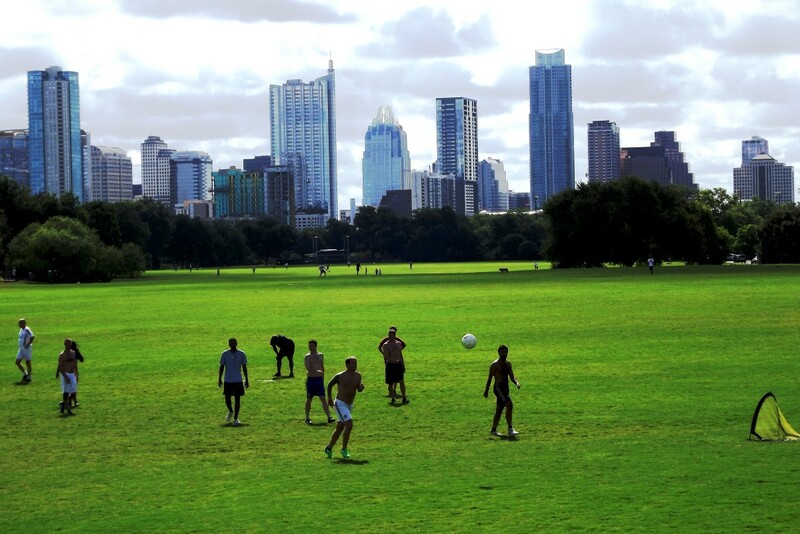 Known as the Live Music Capitol of the World, home to the famous Sixth Street, and awesome new location to the Formula One races, the Greater Austin Area is also a great place to find many other things to do. Ask any Texan what there is to do and you may find a different answer every time. 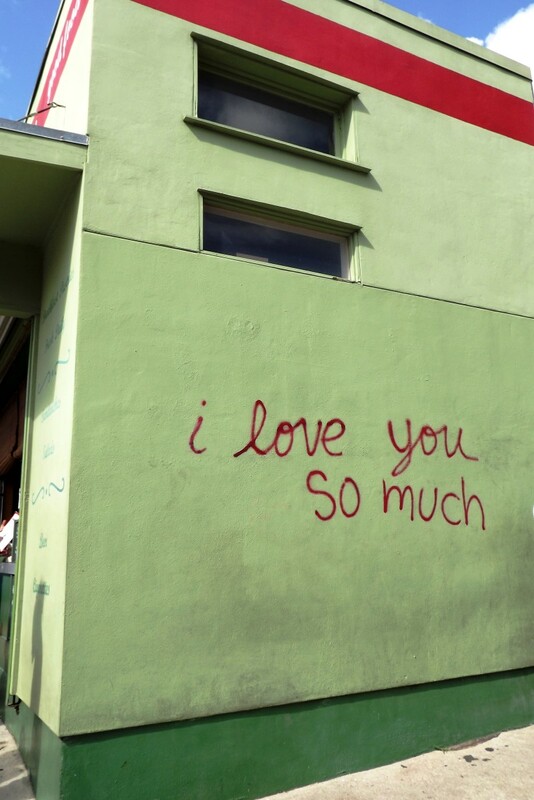 Perhaps it is the “Keep Austin Weird” vibe of the city, the lively nightlife, or the laid back nature of some areas that so many come here for. Maybe it is the diverse culture or the artistic side that not many people know about. It is common knowledge that the local food is recognized as some of the best, the locals here are as friendly as you’d expect, and there’s so much to do in Austin and around this happening city that you will never be lacking for entertainment, no matter how long your stay. January brings you activities like the Austin Boat Show, Bridal Extravaganza and the Westlake Farmers Market. It’s the New Year so everyone is recovering from the holidays with a number of sales from the small business owners in the Downtown Austin area so stop by and show your support. February is the month of romance but you’ll also find the Texas Memorial Museum ID Day, Austin Green Show and Carnival Brasiliero to stop by. Take a carriage ride or make a reservation at a luxury restaurant in Downtown Austin. March begins spring and a month full of music. After all, Austin is known as the Music Capitol of the World. During this month you’ll have the Texas State Arts Festival, South by Southwest, Texas Relays held at the Mike A. Myers Stadium, the Austin Chocolate Festival and best of all the Star of Texas Fair and Rodeo. You can also stop by the Zilker Garden Festival. April brings springtime and a month full of activities to do in the city. The Louisiana Swamp Thing Crawfish Festival down in Buda, Texas begins; as well as the Demo Days Kayak Event, Austin Fine Arts Festival and Old Pecan Street Spring Arts Festival. Take in Austin culture at the Austin International Poetry Festival, Old Settlers Music Festival, and Art Week Austin while you are in town. May is the start of summer for the locals and because it is already so hot, many are heading to the lake. Thankfully there is a calendar of events in Austin to keep you busy, and cool, like the Austin Writer’s Downtown festival and Cinco de Mayo. Not to mention all of the water parks and tubing rivers opening. During the summer months Austin Symphony Hartman Foundation also hosts free Sunday concerts in the park that is a must for anyone to check out. June brings the Texas Greek Festival, Republic of Texas Biker Rally, the Texas Hill Country Railfair and Festival or the Annual Young Latino Art Exhibition. July is a patriotic month filled with things to do in Austin that celebrate Independence Day, such as the 4th of July Celebrations that take place throughout the area. The Fireworks on Town Lake is a sight to see. August is the time of year that everyone is gearing up for back to school so you will surely find something to do this weekend. There is the Austin Ice Cream Festival for anyone with a sweet tooth for ice cream. Then you can attend the Austin Home and Garden Show or Austin Chronicle Hot Sauce Festival. However, Batfest is one of the fun events in Austin happening in August for locals and tourists alike. September is Longhorns all the way with UT Football beginning. For those of you who aren’t the sports type, not to worry; there is the Old Pecan Street Fall Festival, the Darkness to Light Gala and Oktoberfest begins at the end of the month. October is “Spooktacular” with the Nightmare Factory Haunted House opening on the 1st. Halloween on Sixth Street is a famous tradition of Austinites and so is the ACL Music Fest and Texas Parks and Wildlife Expo. We can’t leave out the Austin Film Festival. November begins college basketball for the sports enthusiasts visiting the area this month. For those of you in the holiday spirit you’ll enjoy Austin as it begins to prepare for the holidays. Christmas at Caswell House, Victorian Christmas on Sixth Street and the Devine Fall Festival are all festivals you want to check out while in Austin. December is one of the busiest months of the year in Austin. With an Armadillo Christmas Bazaar, Santa’s Workshops all over the city, the Cedar Park Tree Lighting or the famous Trail of Lights in Round Rock; Keep Austin Bizarre Christmas Bazaar, worldwide recognized Trail of Lights at Zilker Park and ending the year with a New Year’s Eve celebration in Downtown Austin. Whether you are looking for things to do this weekend, next month, or next year, there is always something happening in Austin to keep you, and everyone in the family, busy. From Austin’s action-packed calendar of events to the little-known places that hold a lot of fun, you’ll never know what to expect when looking for things to do in and around Austin, Texas. Austin’s very own Alamo Drafthouse is perfect for date night or just spending time with friends. Enjoy adult beverages or indulge in the delicious menu while watching a movie on the big screen. Visit Alamo Drafthouse online at Drafthouse.com for special offers, upcoming films, and show times. Up in the sky you may find more than airplanes passing over the city. Austin Balloon Rides provides an experience to never be forgotten as you glide over Austin as the sun comes up. Visit them online at AustinBalloonRides.com or call 512.851.8009 for specials and reservations. Enjoy the horse drawn carriage ride around Downtown Austin with Austin Carriage. Visit them online for hours of operation and to make reservations at AustinCarriage.com or call 512-243-0044 as they book quickly most weekends. The family will enjoy spending time at Thinkery, the Austin Children’s Museum evolution, for a little science that is always changing. Located at 1830 Simond Ave in Austin, learn more at thinkeryaustin.org. Enjoy the famous Austin music scene at Austin City Limits Music Festival or take in a live performance at the ACL Live at The Moody Center. Learn more at ACLTV.com for upcoming artists and special events. There’s always something happening at the Austin Convention Center with the convenient Downtown location and loaded calendar of events. From concerts and trade shows to sporting events and more. The Austin Convention Center is jam packed with activities happening every month. For thrift shop adventurers or garage sale enthusiasts, Austin Flea Market is the perfect place to venture on the weekends. You’ll find deals galore and feel like you’ve experienced a true treasure hunt. There is no admission fee but, there is tons of booths with original trinkets, fair like foods, and live music. You can spend the day trekking throughout the flea market. Have a haunted good time with Austin Ghost Tours located at 303 Red River St in Downtown Austin. The average cost is $20 per person and private group tours are available. Tours begin every Friday and Saturday night at 8 pm. Learn more at AustinGhostTours.com. Austin’s Park and Pizza offers a day of family fun with go-karts, rock climbing, bumper boats, mini golf, and so much more! Perfect for hosting birthday parties or spending the day with friends. Visit their website for more at AustinsPark.com. There’s something about haunted houses, mysteries, and thrillers that keep the locals entertained all year long and Austin Panic Room is just such a place. Austin Poetry Slam is a premiere location for the spoken art of words. There are shows every Tuesday at the Spider House Ballroom on 29th Street. Find more online at AustinSlam.com or through their Facebook page Austin Slam on Facebook. All aboard the Austin Steam Train! From Murder Mystery fun to Signature Cocktail Series, there’s so much more to the Austin Steam Train than you could imagine. Enjoy the Hill Country Flyer for a 66-mile round trip through gorgeous Texas Hill Country or enjoy a shorter 44-mile trip on the Bertram Flyer over the San Gabriel River. Visit online at AustinSteamTrain.org for more information, rates, schedules, etc. Known as the original party trolley bus for Austin, the Austin Trolley Company offers guided tours around the Downtown area for your enjoyment. Give them a call at 512-323-9955 to learn more today! Austin is full of hidden gems, one of the most popular is the Barton Springs Pool located within Zilker Park and a short distance to the UT Campus. Four springs make up this popular and refreshing location, Main Spring, Old Mill Spring, Eliza Spring, and Upper Spring. Because Texas is full of hot, simmering days, you’ll appreciate the Barton Springs to cool off and relax in the shade. Visit EdwardsAquifer.net for more information. The artist in you will appreciate the Baylor Street Art Wall. Visit their Facebook page for more information about this awesome artistic area. Also the perfect backdrop for taking awesome pictures. If you’re in the mood for a laugh or two, good food, and great atmosphere then Cap City Comedy Club is the place you want to be. Visit them online at CapCityComedy.com to see who the headliner is this week. With nightly shows there is always something going on so no matter what night of the week you are looking for something to do in Austin, here’s one place that is always happening. Live music every night, an awesome drink menu, and delicious food isn’t all you can expect at Cedar Street Courtyard. The lively ambiance is perfect for meeting up with friends for a laid back night out. Located on 4th Street in Downtown Austin, you’ll find four bars with a courtyard for hosting live bands. Visit CedarStreetAustin.com for more information. Paint-your-own pottery, create clay sculptures, or learn about glass fusion and more at Ceramics Bayou. With the ongoing calendar of events, found on CeramicsBayou.com, there is always something new to try. Whether you are looking to have a creative night out, want to plan a party, or looking to reserve a private room for your own event, Ceramics Bayou is an award-winning DIY pottery studio that provides everything you need. 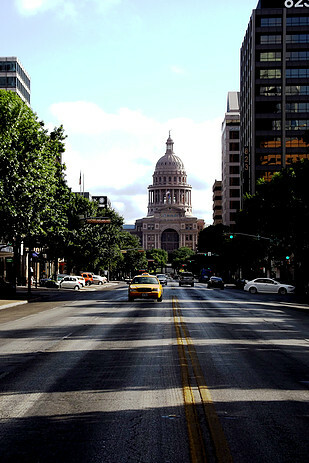 You can spend an entire afternoon and evening along Congress Avenue in Downtown Austin. From the Historic Congress Avenue District and modern, trendy SOCO District to the famous Sixth Street District and the ever-growing East Side District, everything begins and ends along Congress Avenue. Looking to spend a little time on the water without the drive out to Travis Lake? Check out Congress Avenue Kayak at CongressKayaks.com for rental information, to schedule a lesson, or to schedule a group tour. Lady Bird Lake is the ideal scenic route for kayaking in Downtown Austin. The Ann W. Richards Congress Avenue Bridge is famously home to the largest urban bat colony in the world. During the summer months, thousands of spectators come out to see over one million bats emerge from under the bridge at sunset. It’s an amazing site to see. Visit BatCon.org to view the schedule and the best times to witness the magnificent flight of Austin’s bats. Enjoy a glass of wine, or two, at Craft Pride on Rainey Street in Downtown Austin. Open 7 days a week, in the afternoon around 4 p.m. Monday through Friday, and opening at 1 p.m. on the weekends, you will find them on the corner of Rainey St. and River St. on the West Side of IH-35. Whether you are an avid diver or an amateur looking to learn the ropes, Deep Blue Scuba is eager to help you explore the mysterious depths only few dare to venture. With two locations, one in Austin and one in Aransas Pass, you have the opportunity to expand on your adventures with their help. Visit DeepBlueScubaTx.com for more information. One of America’s oldest traditions has a home in Round Rock, Texas at the famous Dell Diamond, official home to the Round Rock Express. Baseball enthusiasts will enjoy season passes to the home games while the general public also enjoys other events that take place throughout the year with concerts, carnivals and more. It is also the entrance to the Trail of Lights in December. Visit MILB.com for more information. One of Austin’s oldest, most luxurious, and to some, most haunted hotel in the Downtown Austin area, the Driskell Hotel is more than a luxury overnight experience. It is also home to the Driskell Grill, with delicious cuisine to satisfy your appetite for lunch or dinner. If you’re looking to book a weekend getaway or have family coming into town that are seeking hotel reservations, visit DriskellHotel.com for more information. Book in advance as they are always filled to the max. For the jazz enthusiast. If you can appreciate local artists for sounds to soothe your soul, you’ll love Elephant Room. If good music, hanging out with your friends and enjoying happy hour to the soothing sensation of jazz music, you will love this place. Casual and inviting, head over to the Elephant Room, located at 315 South Congress for an evening of relaxed fun. Looking to spend the day on the water but want plenty of shade to beat the brutal Texas heat? Aren’t we all? One of Austin’s best kept secrets, but not for long, is Emma Long Park. Located off FM 2222 and Capital of Texas Highway in Northwest Austin. Plan a day trip, go hiking, tent camp for the weekend, or bring the RV for extended time at the lake. Walking trails surround the park, boat ramps available, and a pavilion for group events. Visit Austin Parks and Recreation for more information. Approximately 17 miles north of Fredericksburg, TX you’ll find the mystical area of Enchanted Rock. Also, known as the “Spirit Song Rock” from native legends, there are many superstitions that plague the huge formation but visitors still come to see and hike the beautiful area. Taking Austin by storm is the Formula One Race Track in South Austin. Hosting the Grand Prix and other famous events, the new site offers more than races. Concerts, races, and good times are waiting for you. Located near the Austin Bergstrom International Airport, across IH-35. Experience happy hour in one of Austin’s oldest buildings, erected in 1885 as a fire station, Firehouse Lounge is a great hang out for happy hour and time with friends. If you’re looking for a casual night out on the town, with good drinks and even better music, this is the place to visit. Flemings Prime Steakhouse and Wine Bar is located next to the Convention Center in Downtown Austin and is a great place to experience mouthwatering steak and your choice of over 100 wines from the Fleming’s 100 list. Eat, drink, and enjoy the big screen when you visit Flix Brewhouse for new movies and a good time. The newest releases and a custom menu help make your night out a good experience for all. Alcoholic beverages served. Visit FlixBrewhouse.com for more information. Hang gliding at its finest at Fly Texas. If being in the sky is on your bucket list, the pros here can help make that dream a reality. Visit them online at www.FlyTexas.com. Known for concerts and UT Basketball, the Frank Erwin Center hosts lively events all year long. Visit online to buy tickets to upcoming events at www.UTErwinCenter.com. Imagine delicious pizza and more games than any one person can handle. 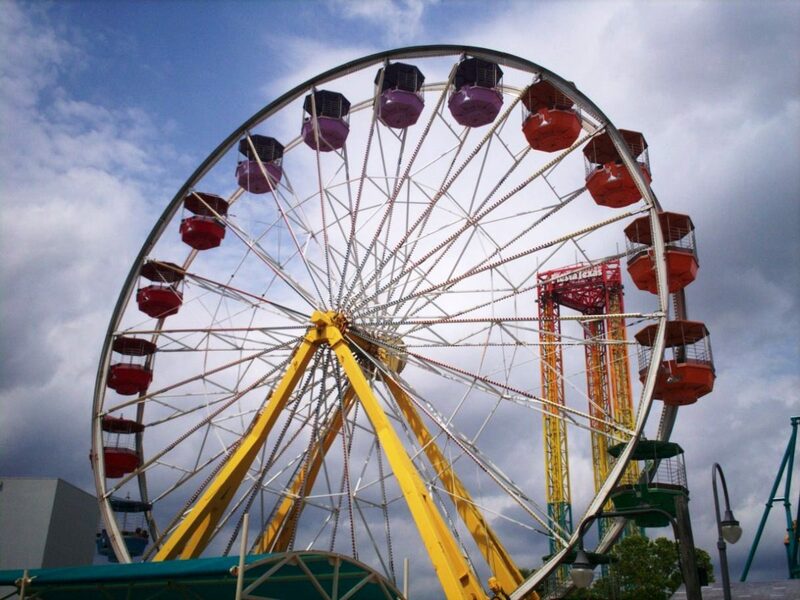 Fun for everyone in the family, visit Gattiland for dinner and fun, birthday parties, and more! One of Austin’s most artistic attractions is not found in a museum or art gallery, it’s located at 1008 Baylor St in Central Austin. Artists, anonymous and otherwise, come to the park to express their artistic side. A true hidden gem, and every art lover’s dream, Graffiti Park is a colorful old construction site that has been turned into a clever collaboration from all over the city. One of the best places to be during the hot Texas months is Guadalupe River for tubing and swimming fun to cool you off. 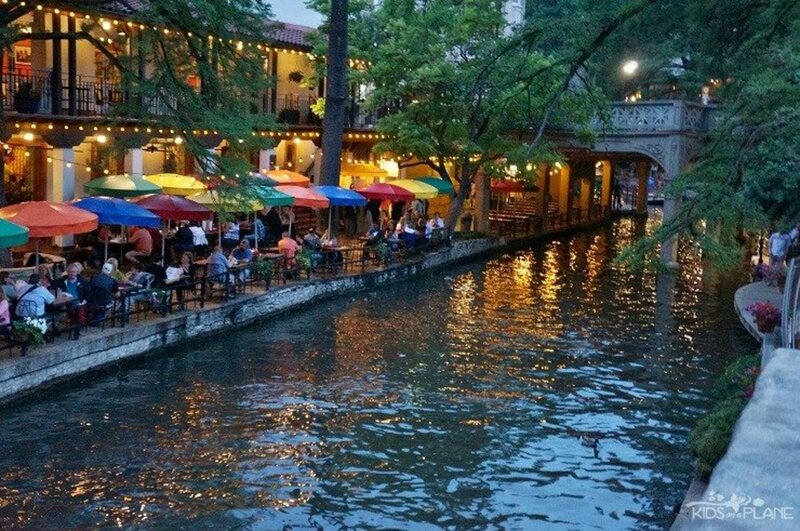 Between South Austin and San Antonio, the perfect spot to enjoy the river is in New Braunfels. Rent a cottage for the weekend, enjoy live music, and taste great small town cuisine. It’s all here. Visit online at www.GuadalupeRiver.com. Another refreshing place to visit during the hot summer months in Texas is Hawaiian Falls Waterpark. Located where Pflugerville meets Round Rock, near the 130 Toll Road, you’ll find Hawaiian Falls Waterpark with tons of water slides, wading pools, games, food, and so much more. Visit www.hfalls.com to learn more. Around for many ages, Hippie Hollow Park is located at 7000 Comanche Trail, Austin, TX and sits on over 100 acres. It is the only ‘clothing optional’ public area in the State of Texas but, is also perfect for swimming, hiking, and enjoying nature. This is a day use park only that opens at 9 am until sun down. No camping allowed. Learn more at parks.traviscountytx.gov. Hope Outdoor Gallery is an awesome addition to Austin. Their mission is to connect creativity with a cause. Welcoming local artist and musicians, the Hope program strives to help people everywhere. Visit them online at www.HopeCampaign.org. One of those places where the beginning of time meets present-day man. There are tours available for all ages, deep beneath the Earth’s surface. Above ground, you’ll find food workshops, and even animals! Visit them online to learn more at www.innerspacecaverns.com. Those with a need for speed will appreciate the indoor go kart racetrack. Located at 2500 McHale St, Austin, TX, K1 Speed is open seven days a week. Learn more at www.k1speed.com. Plenty of shade, cooling spring water, and the ideal location in Austin’s Hill Country to escape the hustle and bustle of Downtown Austin. Krause Springs is great for day trips or weekend camping excursions. Visit www.krausesprings.net. Once known as Town Lake, the newly named Lady Bird Lake still offers the same great scenic backdrop it always has for those looking for a good spot to run or bike around the lake, or kayaking and boating fun on the water. Located in Downtown Austin, Lady Bird Lake is great for a picnic, bat watching, or sunset cruises. The Longhorn Cavern State Park allows you to experience cavern adventures on a whole other level. Tours are by reservation only so visit online at www.LonghornCaverns.com for more information. Nestled in Downtown Austin on Rainey Street, in an old home converted to a quaint bar and grill, Lustre Pearl offers drinks and snack good complete with an old jukebox and picnic tables and games in the backyard. It’s like going home to visit family for an evening. Located at 114 Linden St, Austin, TX and open seven days a week. Learn more at lustrepearlaustin.com. Fun for all ages, Main Event is filled to the brim with things to do. From go karts, rock climbing wall, food, and adult beverages, you’ll find it all here. Learn more at www.MainEvent.com or visit Austin’s location at 13301 North US Hwy 183, seven days a week. Located at 5808 McKinney Falls Parkway in South Austin, McKinney Falls is one of those places to experience natural beauty and a diverse history while enjoying a relaxing day among waterfalls, fishing, walking trails, and swimming holes. Managed by Texas Parks and Wildlife Department. 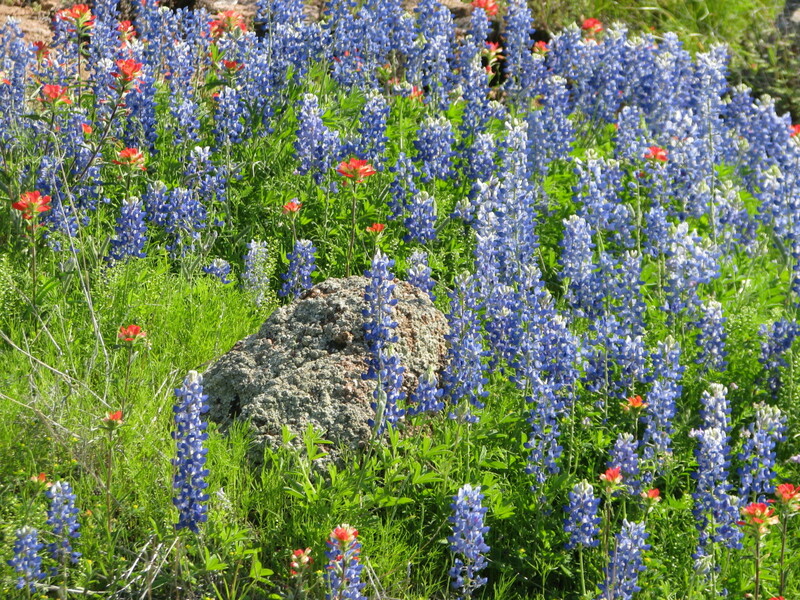 Visit tpwd.texas.gov to learn more about the State Park. Perhaps, just possibly, some of the finest Texas grown wine in the state, Messina Hof can be found in three locations, Fredericksburg, Grapevine, and Bryan. The Fredericksburg location is closest to Austin and boasts continuous wine tours and tastings. Visit MessinaHof.com to learn more about this delicious winery. For a day of massage, facials, and skin treatments, Milk and Honey Spa is the destination to consider when you just want to relax a little. Centrally located in Austin, schedule your heavenly experience by calling 512-236-1115 to book an appointment at their convenient location at 100 Guadalupe St online at milkandhoneyspa.com. You’re bound to get hungry when spending the day trekking Austin. When your stomach starts rumbling, stop by one of three area locations for a Moonie’s Hamburger. Homemade and mouth-watering buns deliciously house a thick, juicy, and well-cooked patty. Dress up with your favorite condiments and you’re on your way to a party in your mouth. Each location is individually owned but visit MooniesBurgerHouse.com to find a location near you. Also known as Covert Park, the history of Mount Bonnell is almost as tall as the Austin attraction itself. From stories of love and despair, to the history of Native Americans in this region, and even how it came to be named, Mount Bonnell is perfect for sightseeing, hiking, and picnicking. You can learn more at austinparks.org. You won’t hear the kids whining they are bored here. Mount Playmore is Austin’s largest indoor playground with food, games, prizes, and lots of fun. Admission is reasonable with toddlers free, and birthday party space is available. You’ll find Mount Playmore located at 13609 IH-35 in North Austin, on the cusp of Pflugerville. Learn more about play time, birthday parties, and fun at mtplaymore.com. The Austin Museum of Weird is filled to the brim with bizarre creatures and freaky shows. Located in the heart of Downtown, at 412 E 6th St, the museum is open daily from 10 am – midnight and is $12 for anyone 8 and over, $7 for kids under 8. All admissions include a live performance and a gift shop onsite to buy a token for your memories of this fantastic place. Weird isn’t all you’ll find here, creepy, spooky, and a little mysterious. Learn more about what else can be found here at museumoftheweird.com to learn more. Immerse yourself in the lap of luxury at the Omni Hotel located at 700 San Jacinto Blvd in the heart of Downtown Austin. With spectacular views, convenient access to the Austin Convention Center, and accommodations that make you never want to leave the high life, the Omni Hotel is an experience. Book your room today at omnihotels.com. Found in the gorgeous Northwest Hills of Austin, the Pennybacker Bridge has become a tourist attraction for locals and visitors alike since it’s erection in 1982. Connecting the northern and southern sections of Loop 360 highway, it is also referred to as Capital of Texas Highway. The Pennybacker Bridge connects over Lake Austin. Great photo opportunity. Opened in 2006, Pflugerville Lake is a man-made lake that sits on over 180-acres of prime land in the northern portion of Pflugerville. Bring the canopy, as there isn’t a lot of shade, but the water will keep you cool. 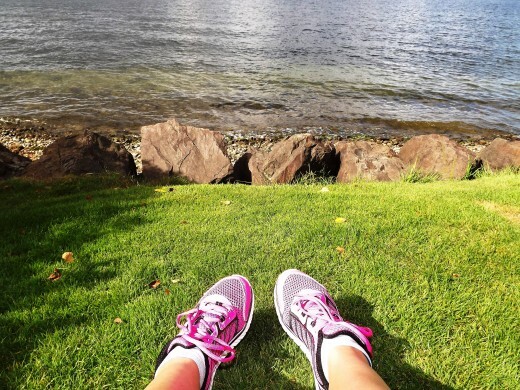 Complete with a 3.1-mile trail surrounding the lake, areas for fishing, and kayaking or jet skiing. The incorporated beach area will have you feeling like you’ve travelled to the coast of Texas. It’s the perfect getaway for a day trip, bathing in the sun, and just having some good ole fun. Around the corner from Pflugerville Lake you’ll find Pfluger Park with plenty of shade, grilling areas, and a playground. Sitting on 30-acres, this public park also includes picnic tables, basketball courts, and sand volleyball. Located at 515 City Park Rd in Pflugerville. Experience the living history at Pioneer Farms, taking you back to the simpler days of the 1880’s. Found in the Walnut Creek area, located at 10621 Pioneer Farms in Austin, Pioneer Farms is full of fun times for all ages. With exclusive exhibits, birds-eye tours, nature programs, and the ability to live like a pioneer. Plan your day trip at PioneerFarms.org. On the outskirts of Austin, situated on Lake Travis, you will find Point Venture Golf Club for the golf enthusiasts. Located in Leander at 422 Venture Blvd. South, the golf club boasts a quiet tee off in a tranquil setting nestled in gorgeous Hill Country. Known as “one of the best 9-hole course in Texas” as awarded by the Austin Business Journal. Open 7 days a week, Round Rock Outlet Mall is home to many wonderful, name brand stores like Coach, Calvin Klein, Disney Store, Aeropostale, Bath & Body Works, Converse, and many more. You’ll also find activities for the kids and plenty of places to eat when you need to take a break from all that shopping. Visit premiumoutlets.com and find the Round Rock location for a day full of shopping and fun. For kayaking, paddle boarding, and rowing on Lady Bird Lake, you’ll find Rowing Dock “off the beaten path” at 2418 Stratford Drive in Central Austin, just west of Zilker Park. Enjoy a day on the water, surrounded by friends, enjoying the hot Texas weather. Reserve your rental, learn more about the establishment, or inquire about group events at rowingdock.com. In the heart of Downtown Austin, you’ll find a delicious lunch and dinner option at Ruth's Chris Steakhouse. Known for an elegant atmosphere and mouth-watering cuisine, this is the perfect place for a night on the town or planning an office get together. Visit RuthChris.com for menu options, what’s nearby, or to make a reservation. Explore Downtown Austin while enjoying personalized tastings at local eateries along the way, meet restaurant owners and make new friends. 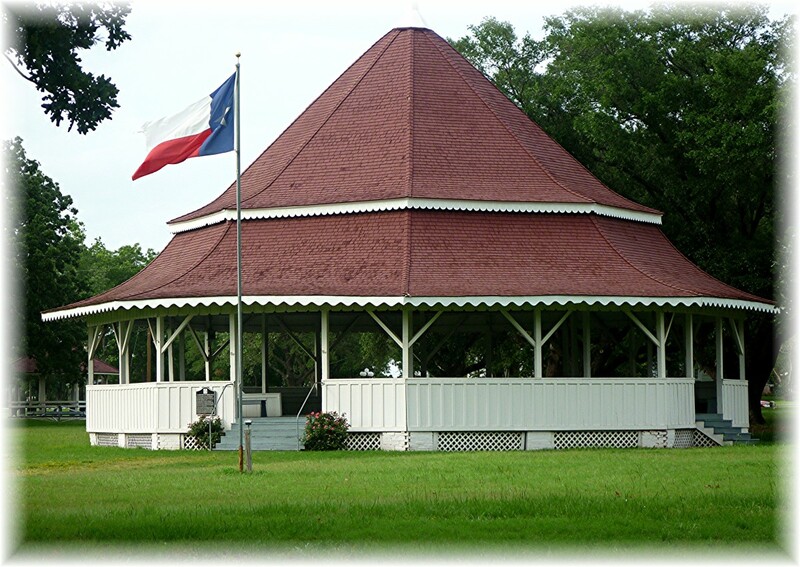 Learn the area’s history along San Jacinto and Congress too. It’s all part of the fun. Learn more at FoodTastingNetwork.com. The state’s largest waterpark, also family owned and operated, is just down the road from Austin, heading south on IH-35 toward New Braunfels. Around since 1979, Schlitterbahn is a great way to cool off in the infamous Texas heat while enjoying time with family and friends. For ticket information, parking guides, and more, visit Schlitterbahn.com to plan your weekend or day trip. It is also home to Schlitterbahn Resort for more than day trips. 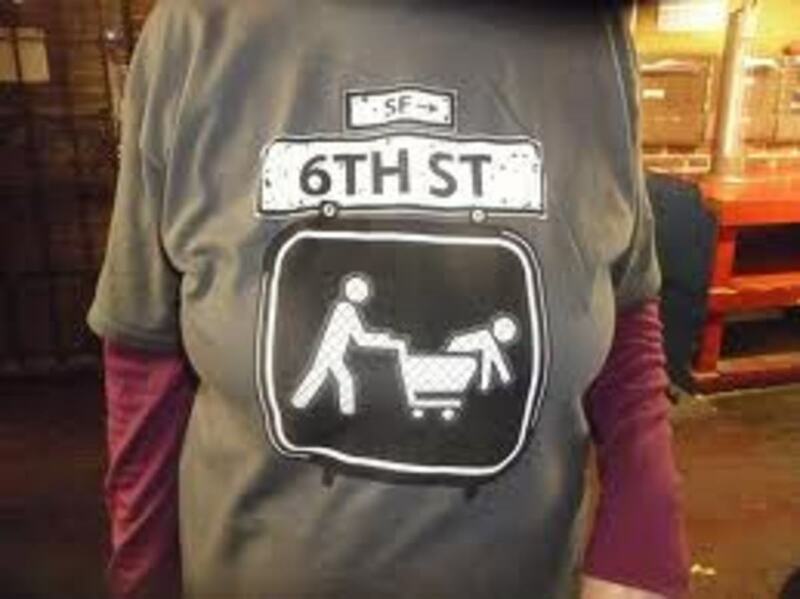 Austin is recognized as the Live Music Capital of the World, and Sixth Street is where it all began. A great place to venture during the day but, at night is when the music scene really comes to life. What Do You Like About Texas the Most? There are many things to do in the Austin area with the kiddos. It's just a matter of knowing where to look. If you are looking for places to eat in Round Rock, Texas, here are the top five from my personal favorites list. The smallest towns in Texas are known for great tasting food. For a list of restaurants in Pflugerville, Texas, check out this list. You'll also find Pflugerville hotels, parks and more things to do. Finding a suitable college for your high school graduate, or even yourself, can be a daunting task but this list of Texas colleges should help you get started. @Kasman ~ that's so great! Have a safe trip!! I hope you enjoy your stay in Texas and thanks for stopping by my hub!! Wow, very detailed on everything Texas. I'm driving down there this weekend into next week anyway, might have to look into some of these spots as I go. Voting this up! Great job Sydney. @khmazz I recommend anyone that hasn't to do so lol! Thanks for stopping by and leaving a comment! I want to visit Texas even more now! Great information! @INFJay thank you for your comment! 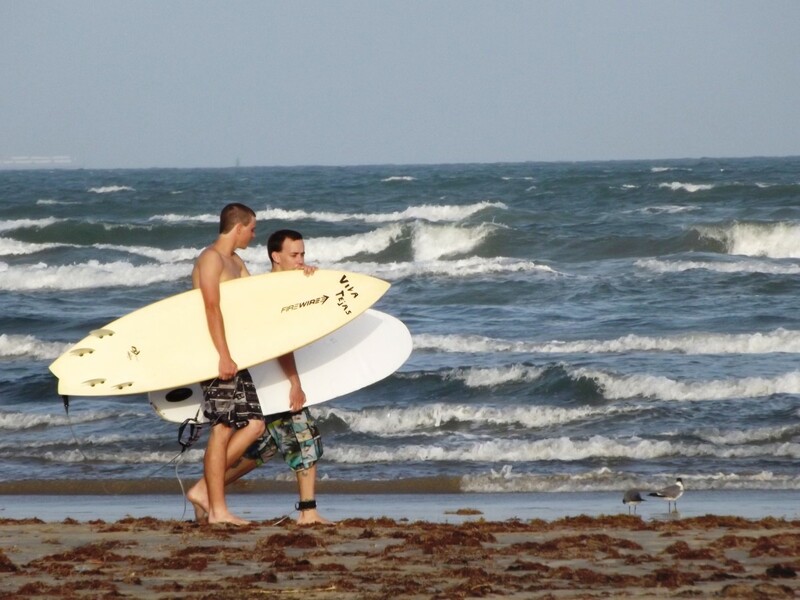 My kiddos and I are in Port A every chance we get ~ we rent a cottage when we go. I do agree that the heat is a major negative. Even as a Texan I would prefer much cooler weather lol. Texas is a wonderful place to visit and certainly has something for everyone. My favorite place to visit is Port A where we've rented a condo during the off season (November/December) to become a "Winter Texan." However, the summer weather is a major negative (thus why we visit in winter). 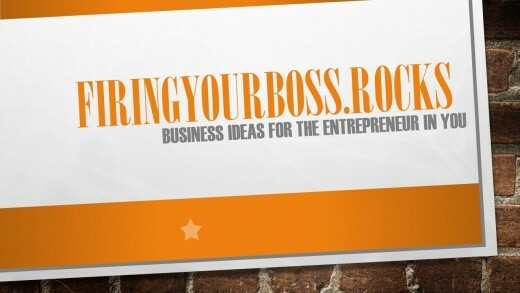 Excellent list of resources too! @Mike Robbers ~ you have to visit Texas! It's like having five states in one :) Of course I'm partial but on the west side of Texas is the scenery most people are familiar with like tumbleweeds and dry desert but there is the Big Bend National Park! On the east side of Texas is beautiful green areas that will remind you of Washington state in my opinion :) Then down by the Gulf is the ocean life where you could go parasailing or camping on the beach. Central Texas of course if the music scene of Austin that the world has come to know. Up in the Panhandle is beautiful green acres perfect for horseback riding :) Thanks for stopping by and I hope you'll enjoy your visit should you make it to the state! Pretty informative hub about Texas. Texas is probably one of the 2-3 U.S. states I would have like to visit first even if most Europeans tend to prefer New York or San Francisco! @ MountainManJake I would love to hear another suggestion as Things to Do in Texas gets over 110,000 monthly local searches and that's what I based it on :) Anything you think would be better? Thanks for stopping by! Things is a terrible keyword! You'll get more traffic if you edit your title. @ prettynutjob30 ~ thank you for leaving a comment! Where do you guys come from when you are driving through to CA? I was just out in CA a couple of years ago and wow, such a beautiful drive! Thanks for stopping by!! :) Safe journey the next time you are on the road! @Deborah Brooks ~ awe thank you so much for stopping by! Bill has been instrumental to me in learning Hubpages :) Thank you for voting up too! I appreciate that! Great hub, voted up and shared. Me and my hubby drive through Texas every time we go to visit his family in California, I will have to check out some of the spots you talked about in your hub the next time we drive through. Blessings to you.. bill says you are new so welcome to the hub.. I will check you out. Sydney, attending one of Willie's parties would be the ultimate experience for me! @bravewarrior ~ I have not had the pleasure of attending Willie's parties but I did have the pleasure of meeting him a few years back ... if he is as nice at his parties as he was in person then I'm sure it'd be a hoot! If I ever get an invite I'll be sure to let you know!! lol Thanks for stopping by! Thanks for stopping by UberGeekGirl !! Sydney, both my brother and I were born in Texas, but only because that's where our Dad was stationed at the time (USAF). I was born in Dennison, way up at the top of the state, and my brother was born in Waco. I've never been to Texas as an adult. Have you ever been to one of Willy's 4th of July parties? That would be something I'd like to experience! I sent the invitations...you will see them on the left side of your Facebook page...share your work there...share the work of other Hubbers there...get to know some people. I think you will find it helpful. Thanks for the comment billybuc! I've sent that friend request and I would love any help you can give. I appreciate any and all feedback. Maybe there are things I need to do to improve this or other hubs? And yes! You HAVE to visit Texas at least once in your life! If you are ever in the Austin area I'm happy to show you around! Wow! No comments? This is such a wealth of information. You know, I have never been to Texas. I have visited forty states but never made it that far south. I'll have to rectify that soon, don't you think? Great job with this hub. We really need to get you more active followers. If you are interested in becoming a member of the HP Facebook groups, friend me (Bill Holland) on Facebook and I'll invite you. Good way to get to know more of the Hubbers and form a relationship.